Following National Home Security Month in October, Wayne Lysaght-Mason, Managing Director at IronmongeryDirect, looks at the findings of a recent home security survey and explains how security features can be incorporated into properties to give customers peace of mind. Meanwhile, the top three concerns among tradespeople’s customers, as revealed in a recent IronmongeryDirect survey, were poor window security, poor door security and a lack of alarm systems. When it comes to protecting windows, the Fab & Fix High Security Fitch Fastener Cam Lock and Large Keep in chrome, offers a solution with six fixing points and steel plate ensuring maximum security. Accredited to police-approved ‘Secured by Design’ specification, this product also offers corrosion resistance, tested to BS EN 1670:2007 Grade 5. 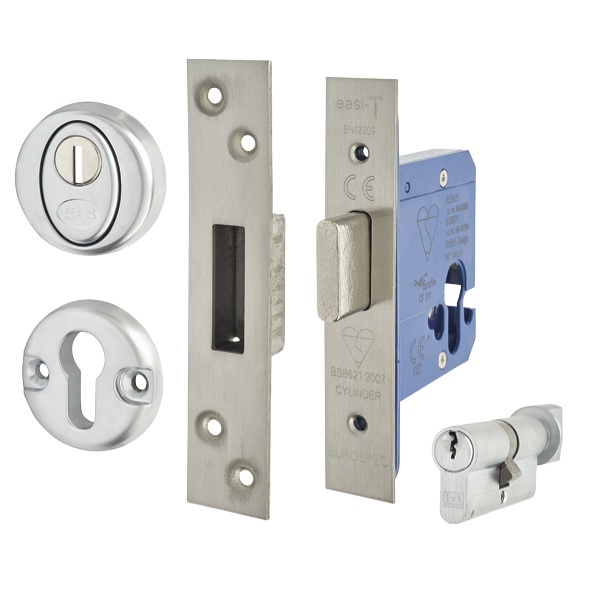 For door security, IronmongeryDirect stock a variety of British standard mortice locks including the A-Spec BS8621 Euro Deadlock & Thumbturn. Coming in satin stainless, this heavy-duty lock is ideally suited for high traffic areas, and has a 60-minute fire rating, stainless steel anti-thrust and an anti-saw one-piece deadbolt. While certain parts of a property are more vulnerable to a break-in than others, with doors and windows obviously being the most susceptible, dark areas outside provide the ideal cover for intruders. To counter this homeowners are switching to smart technology products. The home CCTV market has seen much innovation in recent times with a number of high quality products to consider when picking the most appropriate home security camera. 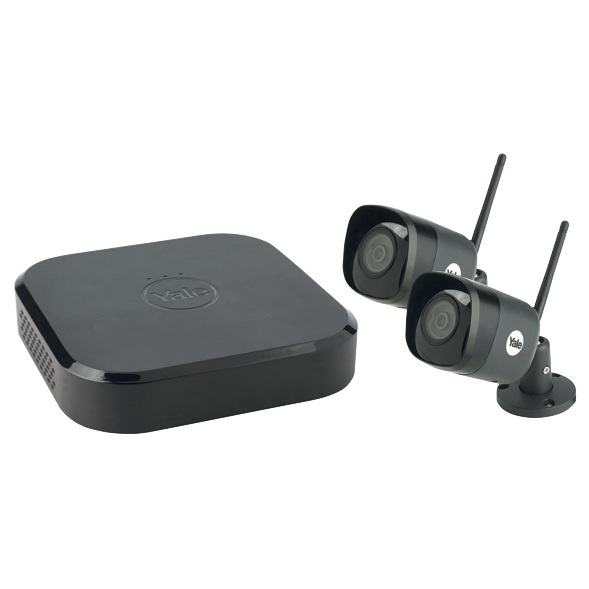 The Yale Smart Home CCTV Kit With 2 Wi-Fi Cameras allows you to check and view your home remotely via a smartphone, through an app, receiving a notification alert if an event is detected. This in turn, triggers the recording function, which can be viewed live or at a later time from your phone. With 30m night vision and clear footage throughout the day, even in poor weather conditions, this product is great come rain or shine. 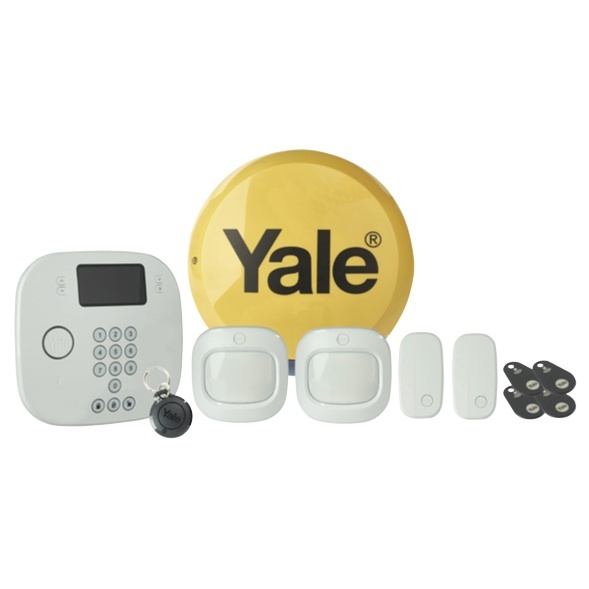 The Yale Intruder Alarm Kit Plus also alerts you when triggered and allows you to disarm your alarm with a simple tap of your contactless tag. The alarm system, which is pet friendly, has an extended wireless range of 200m, ideal for protecting your shed, garage and home within one system without the need for a signal booster. Phone call alerts ensure that when the alarm is triggered it will call up to four pre-programmed phone numbers. The alarm system also features zone control so that the alarm can be part armed for certain zones of the house. This system can be expanded to include up to 30 additional accessories. To address security concerns, it is important to be aware that there is a wide range of products available to help keep a building safe and secure – from a basic lock to sophisticated alarm systems.